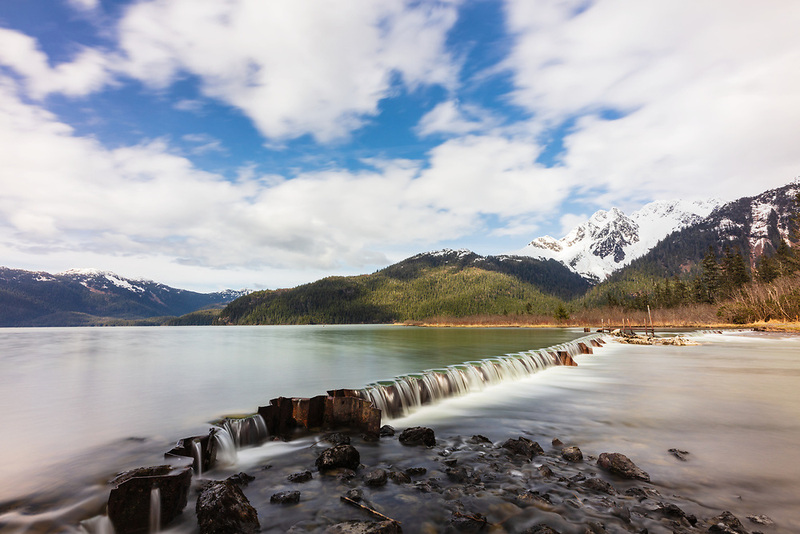 Long exposure of Eyak Lake in Cordova in Southcentral Alaska. Spring. Afternoon.